When it comes to finding and deciding on a new web hosting service, there are many warning signs to look out for. At Host-Finder.net, we’ve taken the time to screen our web hosting providers and index only the best. To help you make the best choice, we’ve indexed dozens of common web applications and we’ve included the top web hosting providers for packages such as WordPress, Drupal, PHPBB, vBulletin, Joomla, b2evolution, and many more…Here are few things to look out for when examining a potential new web hosting provider. 1. Look for a community built up around the web hosting provider. 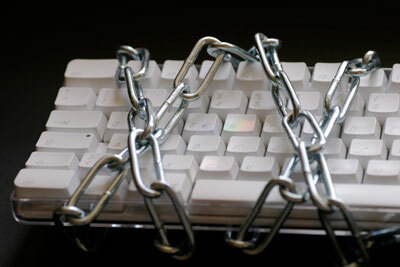 Things like regularly updated blogs and web forums are good indicators that the web host has nothing to hide. You’ll find a lot of sites will avoid these tools to prevent other users from alerting you to problems. For a good example of a web host that has a great community, check out FatCow. 2. Look into the servers and backbone the hosting company uses. Quite a few web hosting providers simply load their servers on another companies backbone and then sell packages to you as if they ran it themselves. While this is not bad in and of itself, you might want to researching the REAL company hosting your sites. 3. Look into the companies policy on requests to transfer to another server. Sometimes bad luck can hit you and you get hosted on a server with another site whose traffic starts to take off (thus slowing down yours). If you ask your web hosting provider for a transfer to a less populated server, what will they say? Most good hosts will accommodate the request if they can, no questions asked. Bluehost, for example, will transfer your site to a new server should you have a problem with your current one. 4. Look at the extra features they provide to you. If a web host charges you extra for services such as SSH and FTP you need to be careful. While obviously there are limits, especially on number of users, basic access to these tools are FREE for them to setup and takes seconds to configure and maintain. Charging you a regular fee just for convenience in accessing your site over SSH is a sign of a greedy web hosting provider and one who is most likely also overloading servers to save a buck. Hosting companies such as FatCow, GreenGeeks, and iPage all offer these accessibility methods free of charge. 5. Find out when and why you can contact technical support. All decent hosts should have 24/7 support and 99.9% uptime. The more methods of contact the better including phone support, online chat and forums. Having real people there to solve your problems shows a level of commitment and business professionalism. Having no people to answer your problems, only answering machines or ticket submission systems, is another problem altogether. 6. Check for a guarantee on number of sites per server. Some hosting companies will let you know specifically how many sites they will allow per server. This is a sign of commitment to upgrading their system as required to stay on top of their own growth. FatCow, for example, offers a lower website per server guarantee which is really nice to see in a web hosting provider. 1. Check your site at ALL HOURS of the day, especially peak ones, for the first few weeks. Peak downtimes can indicate overloaded servers or underpowered equipment while off peak downtimes can indicate that you might be sharing your server with regular spammers or at least traffic guzzling neighbour sites. 2. Watch out for intermittent database drops. You’d be surprised how many web hosting providers are unaware of how to configure MySQL or PostgreSQL to support a large number of databases and users. If your site is staying up, but you are losing connections to your database once in a while, this is a good indicator that either the server is overloaded or the provider does not have the skill set to administrate your database properly. Web hosting providers such as FatCow, GreenGeeks, and iPage offer a wide range of database configuration options to each individual web site. A lot of these points are guidelines, and you have to use your own common sense to decide whether or not you have encountered a warning sign. Finding a good web host can be a painfully long process. That’s why at Host-Finder.net, we’ve taken the time to screen our hosts and index only the best. Choosing from one of our user-ranked web hosting providers can save you the headache and hassle of starting and stopping with many different hosts before ultimately finding your site a home it can stick with.